What Makes Some Dog Treats Better Than Others? Our dogs just love their treats! How can you decide what is good or not? Read more in my review! That is why I’ve decided to write a review of what I think are the best. This is based on what I’ve found to be good not only with my own dogs, but through what other people think of them too. 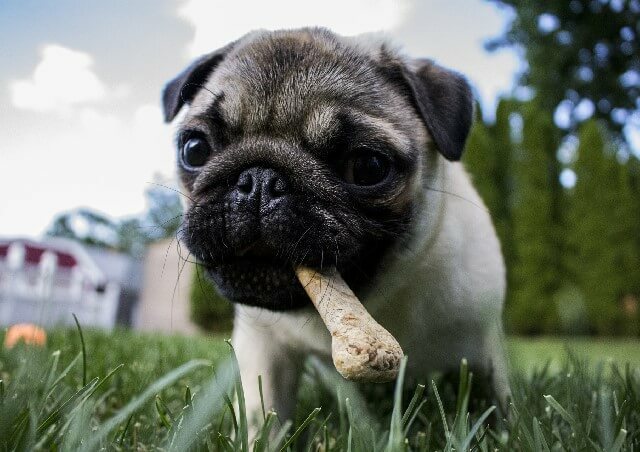 If you’d like to learn more about choosing healthy dog treats you can read more about it here on my post, What are The Best Treats for Dogs? I’ll be adding to the page as time goes on, so to start off, I’ve begun with one that is a very popular treat among many dog owners. It’s one that I’ve used, errr, my dogs have used and enjoy too. Plus, it makes their breath smell better! What Makes Greenies So Popular? These treats for dogs are very popular among dog owners for quite a few reasons. The main reason being that well, most dogs seem to love ’em. Plus, they’re made of natural ingredients with added vitamins and minerals to promote a healthy and balanced diet for your dog according to AAFCO recommendations. Another benefit is that they are made of highly digestible proteins, which your dog needs to remain strong and healthy. Greenies also are well known because of their benefit to dental health. Their chewy texture helps to promote clean teeth for your dog, which means less bad dog breath! Clean teeth also means, better general health, at least in my humble opinion. I also noticed these have the VOHC (Veterinary Oral Health Council) Seal of Acceptance for plaque and tartar control, which is another reason to check these doggy snacks out. One treat a day is the recommended amount given on the label. So, no, in my opinion, these wouldn’t be the best treats for using as a training treat since you can only give one a day. But, they’re excellent for giving your dog better smelling breath and keeping their teeth cleaner. I’d definitely recommend these especially for older dogs that have bad breath and need a treat they love that is healthy and cleans their teeth while they chew away at it. Our dogs seem to enjoy them and they work quite well on keeping their breath smelling good…at least I’ve never noticed ours having bad breath, so they must be working! Greenies are not recommended for puppies under 6 months of age or under 5 pounds. Again, please supervise your dog when you give these treats…especially if it’s the first time you’re giving these to your dog. These treats are NOT meant to be gulped down, but chewed on for awhile at least, enough to break it into easily digested pieces. If your dog is gulping it down in one bite, or eating it too quickly, it may be a choking risk, so please order the correct size for YOUR dog and observe its actions with it. So, please read the label for your dog’s sake! According to other dog owners these treats are great for training and can be given to any size dog since they can be easily broken into smaller pieces. Made out of all natural Beef in the USA. No corn, wheat, soy, or other junk such as gluten fillers. So, that’s a plus, especially for dogs with allergies, this may be one that could work for them. Another good thing is they smell good to both humans and dogs. Many dog owners are saying they’re dogs “go crazy over them.” Other treats have been known to be stinky, at least to us, although our dogs may still love ’em stinky or not. These non-greasy beef jerky treats are not supposed to make your hands greasy feeling or smelling terrible either. They’re made from USDA approved beef, which is all processed in the USA and nowhere else. A bit pricey if you’re on a tight budget, but otherwise, there really isn’t anything else I found to dislike about these treats. Anyways, these All American Gourmet Jerky Treats for Dogs sound great to me, so this is something I’m going to add to my list of things to try out with our dogs. Their health is important to us as they’re considered to be part of our family, even if they wear fur and have four legs…they’re our kids too! Reading through the reviews and the questions and answers over on Amazon, I really think the Rocco & Roxie Supply Company are truly committed to providing the healthiest premium quality treats for our dogs. What about you? Want to know where you can get them? These all naturally sourced knuckles are available through Amazon and as of today they are rated as almost four stars (3.4) with 51 reviews from people that have tried them. Okay, you know what I mean….tried them with their dogs. Dogs can’t write or read, so someone’s gotta do it for them. Anyways, these sound great to me, since bones similar to these last a very long time for our dogs. Plus, you get not only one bone, but 10, which makes sense. Lol, at first I thought it was only one bone for that price…are they crazy? Yes, you get 10 of them! Which should last a really long time, at least longer than the “fake” or rawhide bones out there. I’ve bought similar natural smoked bones from local pet stores and they’ve lasted a very long time, months even, for our dogs, and two of them are very heavy chewers. 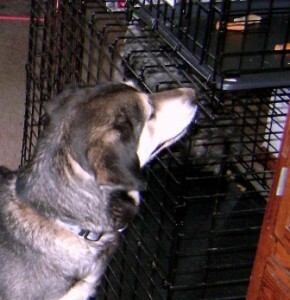 Two of my dogs – Jade & Argon -both heavy chewers! 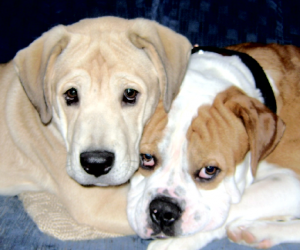 Argon is pure Old English Bulldog & Jade, his baby, is part Old English Bulldog, & part Husky & Yellow Lab. Well, considering the prices at the local stores, this looks like a deal to me. At the pet store recently, bones similar to these were quite pricey when sold individually and buying 10 of them would’ve added up to quite a bit more than the price here. I don’t think our pet store offered a case of these as far as I could find out and each one was $6 each….so, it’d be about $60 at the local store. Plus, at our local pet store, at least, it didn’t say where they were made, or nothing like that. Now that I think about it, there wasn’t even a price on them or anywhere to be found, so we had to go and ask, which I thought was ridiculous! I didn’t really want to lug a big old bone around, which are usually kind of sticky and messy, all the way up to the registers just to know how much they want for them, but I did. Anyways, I wasn’t thrilled with the price of these types of bones for dogs at our local store, so that’s why I’m writing this too. So, just think about it. How much do you pay for each bone when you buy them separately somewhere else? Would it cost you less to buy in bulk? In my case, it does cost less to buy these in bulk, but feel free to do your own research on that and go check out your local pet store if you want. Cheaper price than many other stores at 10 bones in each case you’re paying about $4.59 each. Not bad at all. Recent complaints from some customers concerning the size, smell, and appearance. According to a few more recent reviews from May 2016 at Amazon, some customers are no longer satisfied with these bones. Stating issues such as the bones they received were smaller, had an unpleasant odor, didn’t appear to look the same as when they had ordered these before, and didn’t last as long since they had to take them away from their dog sooner since pieces were being broken off…this issue could cause a choking hazard. I’d definitely like to give these ones a try on my dogs, and once I do, I’ll let you know how they work out. I do hope this helps you out in deciding whether or not to buy some of these for your dog. If you’re looking for a dog chew that will last a long time and are tired of buying bones or other treats that are gone in a day or two, I think these will do the trick. I should also mention if you do buy any of these treats or bones for your dog, as with any other bone or dog toy, please do supervise your dog, and look the toy or bone over periodically to see how it’s holding up. If they’re starting to get chewed down a lot and are getting too small, or your dog is able to break pieces off, I’d replace them. Also, I’d check for any splintering, especially at first, since this can be a problem in other types of bones for dogs. Although I didn’t see anyone mentioning this being a problem with these ones, it never hurts to make sure. Although I’ve tried to include everything I could think of here, I may have missed something. *These are what I think, either through what I’ve experienced with my dogs, heard from other dog owners, or found out through research, and I CANNOT GUARANTEE these will work for your dog. **NOTE- Like any treats, toys, or chews for dogs, please DO SUPERVISE your dog! There’s always a choking risk no matter what the product if they’re not supervised. Especially if your dog is the type to gulp things down without chewing! That’s it for now, and I’ll be adding more to this page soon! As always, I’d appreciate it if you’d leave me a comment in the box below. Let me know what you think. Have you tried these before? What did you like or dislike about them? Do you have any dog treats that you think are great? I’d love to hear what you have to say! And, lol, of course, I didn’t mean You actually tried them, I meant your dog!